Guaje is a fast growing mimosoid tree native to Mexico and Central America. 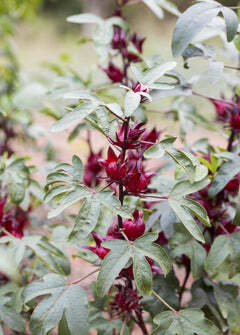 Trees prolifically yield thin, flat, foot-long pods containing protein-rich seeds or "beans". Common names include Lead Tree, White Popinac and Horse Tamarind or Wild Tamarind. Guaje seeds are similar to the size of pumpkin seeds and tender when green and fresh. Their flavor has nuances of pumpkin seed, garlic, avocado and okra. Roasting the seeds enhances their flavor and is a truly delicious snack! Guaje trees are so versatile! They can be maintained as a small shrub or grown as large trees up to 60 ft! Guaje trees can be grown into beautiful shade trees or cultivated as unique bonsai plants. Mature Size: Guaje trees are so versatile! They are fast growing and can be maintained as a small shrub or grown as large trees up to 60 ft.